You've spent five long hard days working flat out to push envelopes, think outside boxes, shift paradigms and generally make sure that your strategic direction of travel is going to deliver a win-win against budget going forwards. You must be worn out! So, come the weekend, you need to relax, refresh and put your feet up. 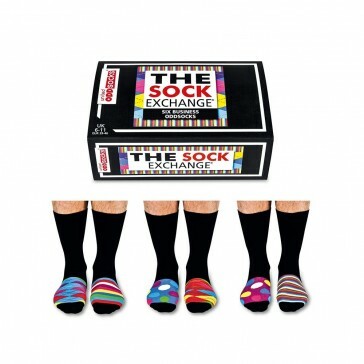 And with Sock Exchange Weekend Oddsocks you'll have up to 15 pair combinations to help you do it in style!